Seasonal monsoon rains regularly cause floods and loss of life in South Asia, but the floods that have swept north western India, Nepal and Bangladesh this year are exceptionally devastating. At the time of writing the UN OCHA are reporting that 41 million have been affected by the floods, with over 900 killed. Other reports from officials are that the death toll is already over a thousand. This could increase as rains continue in some flood-affected areas and flood waters move south. The scale is vast: in Bangladesh alone, a third of the land has been inundated in the worst floods for 100 years. The loss of crops as well as homes threatens longer term food supplies. Tens of thousands of houses, as well as schools and hospitals, have been destroyed and displaced people in all the nations affected are in urgent need of life-saving support. Governments and aid agencies are struggling to provide shelter, food and clean water, while fearing outbreaks of diseases such as cholera and dysentery which frequently follow floods. Contaminated water and limited shelter and facilities put young children particularly at risk. Concerned about climate change? Then why is New Scientist cosying up with Shell? 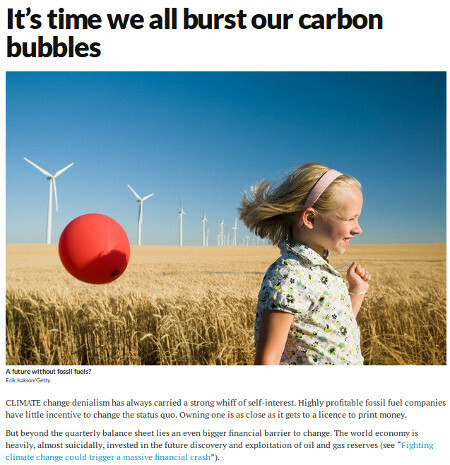 "It's time we all burst our carbon bubbles" declared New Scientist magazine in a leader published on 5 July, extolling the virtues of divesting one's current account, pension etc. from fossil fuels. We couldn't agree more. And so we'd suggest that New Scientist puts its money where its mouth is, and breaks sponsorship ties with Shell. The annual exhibition 'New Scientist Live', taking place this autumn, sees Shell returning as a sponsor. And not just any sponsor. Shell's logo will be splashed all over the 'Earth Zone' covering life on earth and indeed climate change. In one sense it is extremely appropriate for the issue of climate change to be sponsored by Shell (see also the proposal that hurricanes should be named after fossil fuel companies). But Shell's business model is contributing directly to a shocking decline in the biodiversity that the 'Earth Zone' is celebrating. A recent in-depth study by investors Schroder looked at the different elements that need to change if we are to avoid catastrophic climate change. The overall conclusion is clear - climate change is accelerating and we are on course to blow our 2C budget soon (let alone the aim of keeping temperature rise to a less dangerous 1C). What was also illuminating in the report was the difference between the elements. For example, renewable capacity has been increasing, but not fast enough: it is on a trajectory consistent with a 3.1C increase, electric vehicle progress is less positive on a 4.1C trajectory. Coal burning is falling so there's a more positive message there: it's consistent with keeping to 2.2C. Oil and gas production however is rated as on track for a 7.8C temperature increase. We expect that visitors to New Scientist Live will learn about Shell's investment in green energy (one percent of its total business). Shell also likes to highlight its work on energy efficiency. One thing that will probably not be highlighted is that at Shell's recent AGM, a motion was rejected to set emissions targets in line with the Paris climate agreement, with the board arguing that this was "not in the best interests of the company". Read more about Concerned about climate change? Then why is New Scientist cosying up with Shell?